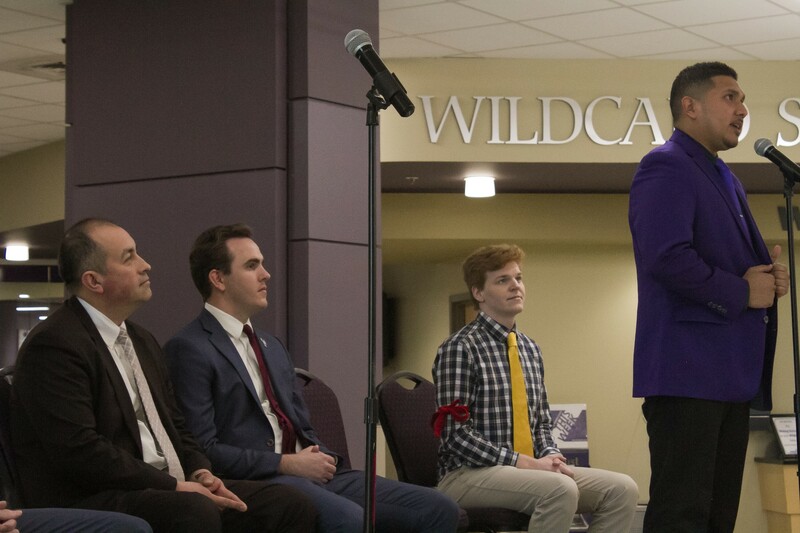 The Weber State University student body will soon know the replacement for President Jordan Slater. 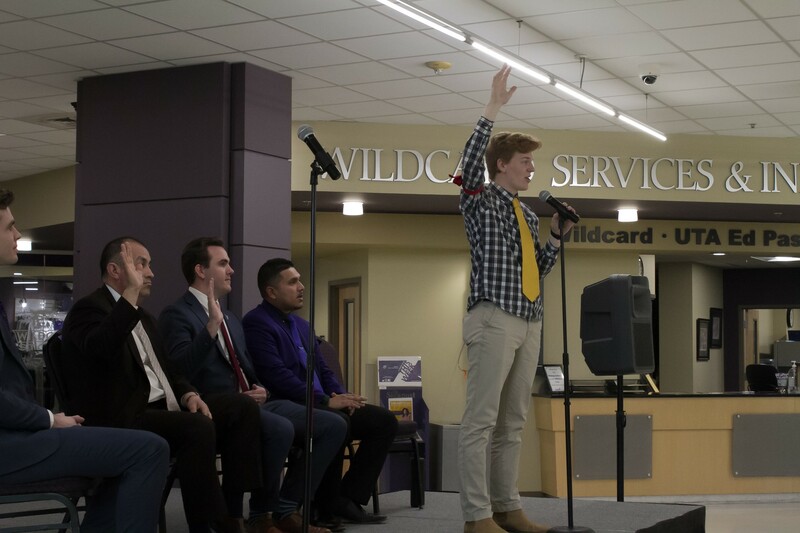 After a week-long spring break, students and faculty gathered in the Shepherd Union Atrium March 11 for the WSU Student Association presidential debate between candidates Bret Alexander, Jovany Bahena-Rosario, Scott Lund and Julio Otay. Students came and went throughout the duration of the debate. However, the event overall had an average of 30 students and faculty in attendance. Moderated by Andrew Waldrip from the Walker Institute of Politics and Public Service, candidates were given the opportunity to explain why they should be elected president in a series of questions about platforms, leadership experience and common issues found on campus. “With four candidates, I think it’s good for people to see what the issues are and hear from the candidates themselves because a lot of people don’t always know who the president is,” Chairman of the Election Committee Clint Yingling said. The debate opened with the four men stating why they decided to run for president along with an overview of their platforms. As a whole, they all indicated a need to address student mental health, specifically the lack of resources on campus that help with anxiety and depression. The four additionally tackled the issue of parking on campus by offering different solutions that would give students a better experience commuting to class. However, the candidates also had their own specific topics that they wanted to address. Alexander and Bahena-Rosario both emphasized the need for campus unity and plan to act as a voice for the voiceless in the student body. Otay’s platform focused on retention at Weber State and facilitating clear communication between students and faculty. With a background in business, Lund expressed that he will work to create more career opportunities for students struggling to land internships or jobs in their field of interest. 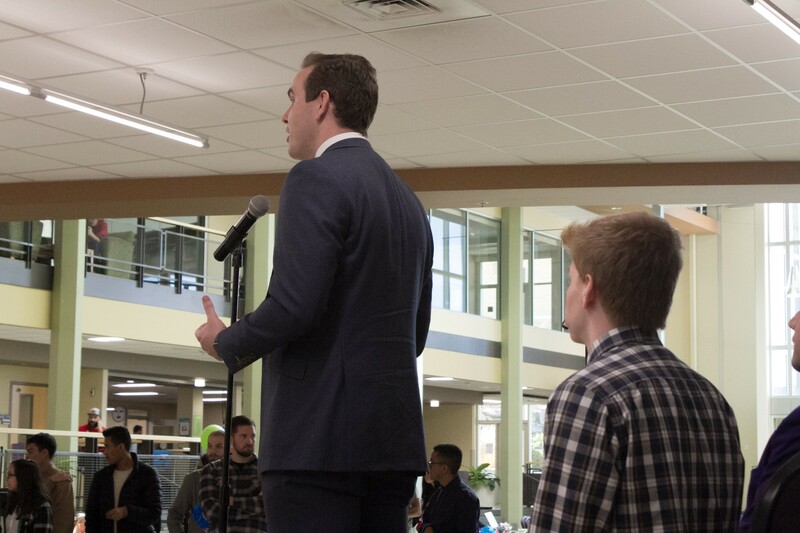 “I think that Weber State students can do anything we want to do, but I don’t know if we necessarily provide ourselves with the opportunities to do that,” Lund said. 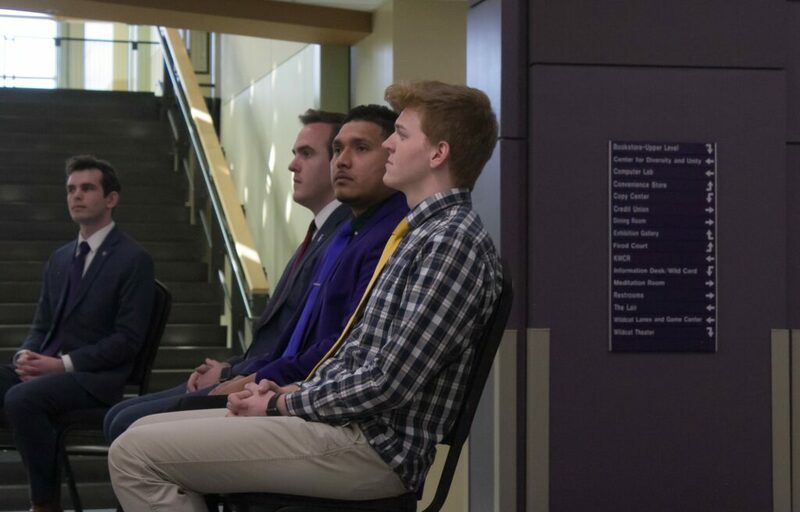 Following their statements regarding goals for executive office, the candidates were asked what experiences have prepared them for presidency and what sets them apart from the others running. Both Alexander and Lund’s answers centered around their time spent in leadership roles at Weber. Alexander emphasized that he has worked his way up by serving in a variety of positions including his current duty as Leadership Vice President in WSUSA. On the other hand, Lund mentioned his experiences as Senator of the College of Business and Economics as well as his past management of organizations such as The Salt Lake Bees and Megaplex Theaters. Taking a more personal approach, Otay and Bahena-Rosario listed the characteristics they believe make them best suited for the position. Otay recalled his past experiences serving in nonprofit organizations and university programs while also noting that the election should not be a popularity contest. Bahena-Rosario expressed that he would be a fair leader and refrain from any biased opinions in his executive duties. In addition, he reiterated to students that he is not a rookie in regards to being qualified for the job. At the end of the debate, candidates were asked to give a closing statement in one sentence. While most of the candidates used the sentence to summarize their platforms and provide closure, Alexander took the opportunity to get a few Weber State chants in before leaving the stage. This election week, voting will be open from March 12 until noon on March 14 and is available on Canvas. The election results will then be announced March 15 during Weber’s Got Talent at 6 p.m. in the Shepherd Union Ballrooms.